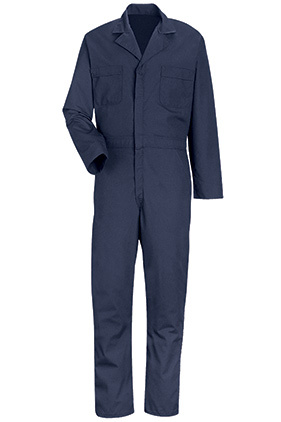 65% polyester/35% cotton 5 ounce poplin long sleeve speedsuit. Safety-stitched mainseams. Action back and elastic waist inserts. Two-way brass zipper. Two chest pockets, two set-in front pockets and two patch hip pockets. Vented cuffs and gripper closures.